Adnan Hilton Pehlivan, owner of Mediterranean restaurant Istanbul Sofra, speaks at a press conference about positive economic contributions of immigrants. In Allegheny County, immigrant groups are economically punching above their weight. A new study from the Partnership for a New American Economy, shows that 7.6 percent of the county’s gross domestic product comes from immigrants, even though foreign-born individuals only make up around 5 percent of the population. 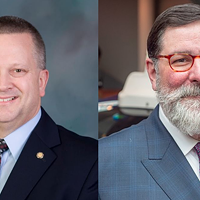 That discrepancy is why public officials like Pittsburgh Mayor Bill Peduto and Allegheny County Executive Rich Fitzgerald are praising the contributions immigrants are bringing to the region. “It’s great that we have been able to capture some of the data that a lot of us knew empirically about how important the immigrant population has been over the last few years, has been to our economy and quality of life,” Fitzgerald said at the press conference Downtown. Fitzgerald said in a five-year period, starting in 2009, property values nationally were declining, but in Allegheny County, the values were increasing, with a big boost from immigrants. 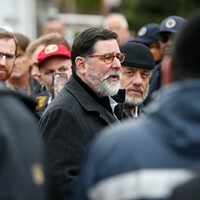 He also pointed to the study for showing that while the Pittsburgh region’s population slightly declined since 2009, the foreign-born population increased by 8 percent. “When you look at the contribution that the immigrant population has helped in stemming population decline, improving property values, that contribution that they have meant to our economy is tremendous,” said Fitzgerald. 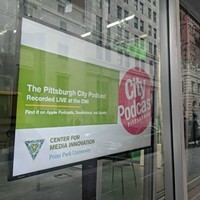 Peduto said that immigrants are “building a new economy” in the city. Their rates of entrepreneurship are higher than U.S.-born residents in Allegheny County, and are also higher than the national average. 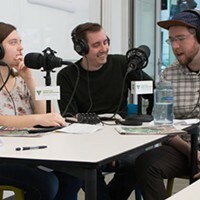 The study also shows that Pittsburgh immigrants have higher educational rates than average, but Betty Cruz of Peduto’s Welcoming Pittsburgh initiative tells City Paper that low-income residents were contributing to the growth too. She says the $217 million in taxes were contributed from “across the board” and not just from wealthier immigrants. Cruz says immigrants from all backgrounds have contributed positively to “main street” economies like Asian immigrants in Squirrel Hill and Latinos in Beechview. 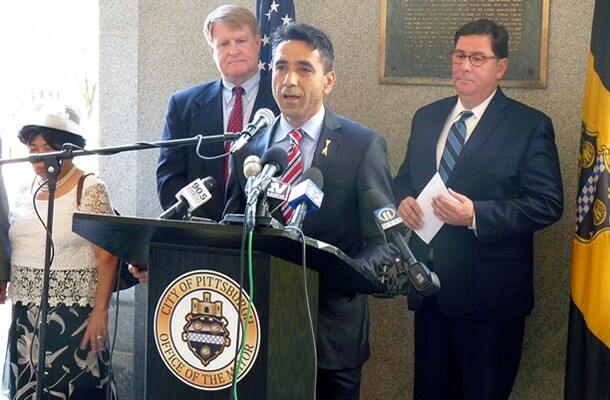 Allegheny County Government Business City Government Immigration Bill Peduto Rich Fitzgerald immigrant Welcoming Pittsburgh entrepreneurship undocumented immigrant U.S.